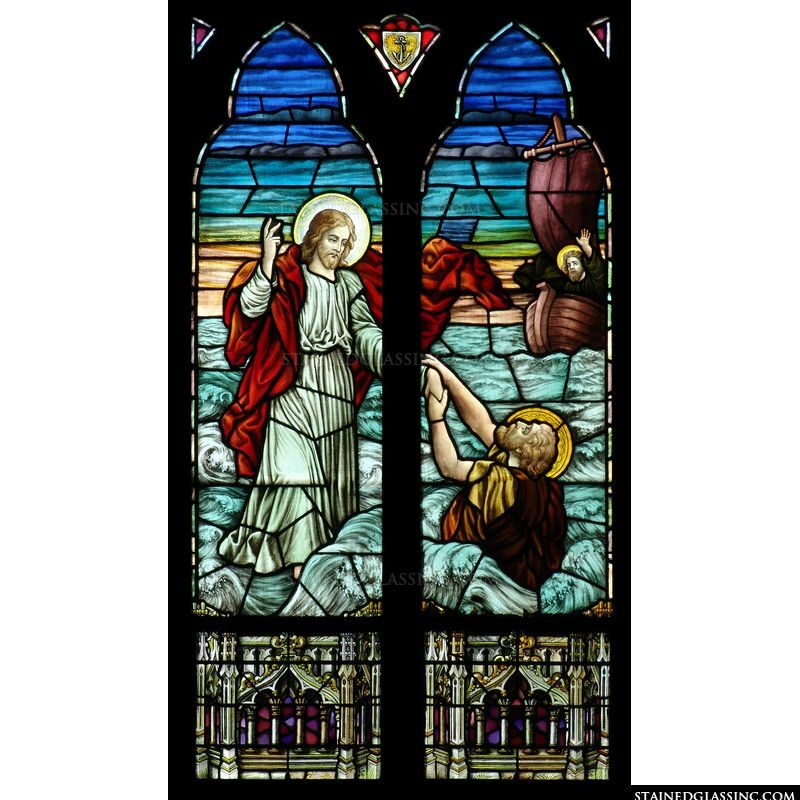 Peter's doubt in God's power caused him to begin to drown in the sea. 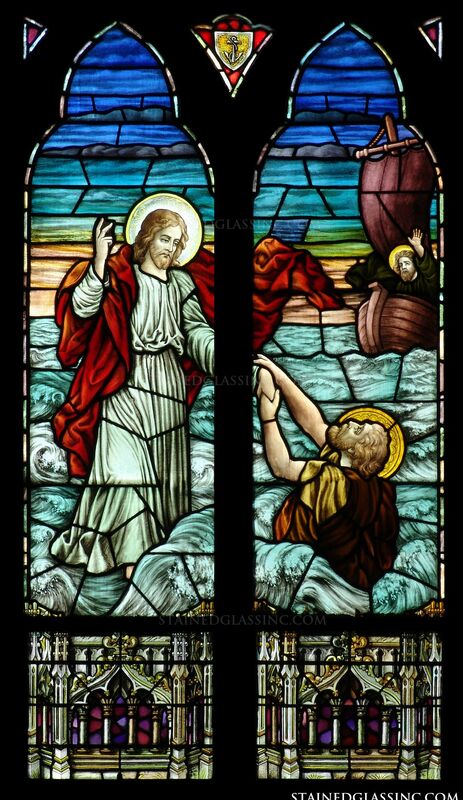 Jesus saved him and together they walked on water. 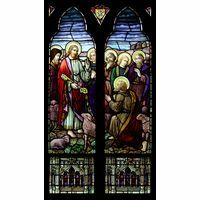 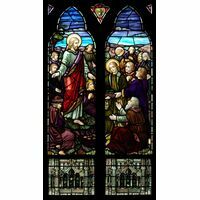 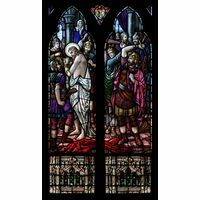 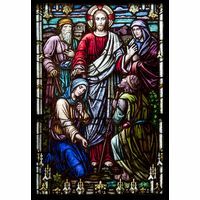 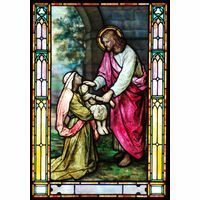 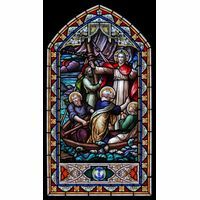 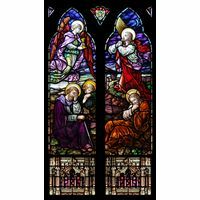 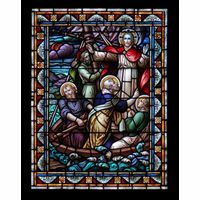 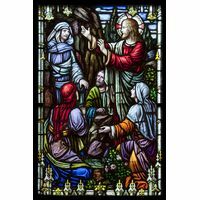 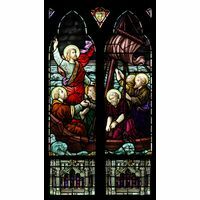 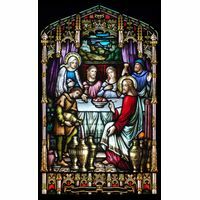 This miraculous event is beautifully and colorfully depicted in masterfully crafted stained glass that will shine brilliantly in the sun and cast incredible color throughout your space. 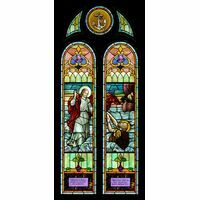 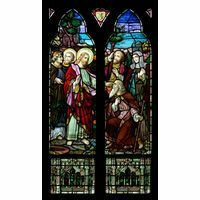 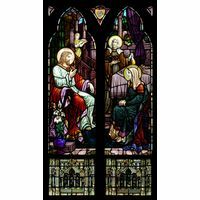 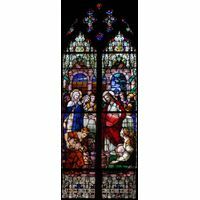 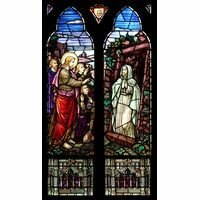 Place this stained glass artwork in a window as a window insert or use it as a stained glass window hanging.